The 140th General Assembly approved a recommendation that the “burning bush” and “nec tamen consumebatur” be authorized as an official symbol and motto of The Presbyterian Church in Canada (see 2014 A&P, p. 279). This version of the burning bush, updated in 2018, is used by the national office as a logo for both print and electronic resources and information. 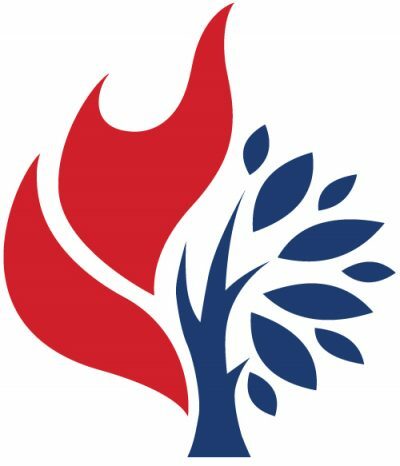 The stylized PCC burning bush logo is available for congregations, groups and bodies of The Presbyterian Church in Canada to use for church-related materials, such as church signs, bulletins, websites, newsletters, etc. The logo is also available for collaborative and cooperative ecumenical ventures. Below are guidelines for the best use of this version of the logo. To access other versions of the logo, or to get copies of the logo in different formats, please contact the Communications Office.